In 1959, the Phantom V replaced the massive straight-eight-powered Phantom IV. The Phantom IV was a huge formal car with a 145-inch wheelbase and built only for monarchs or heads of state. From 1950-56, only 18 Phantom IVs were produced (one was the test mule, later scrapped). The Phantom IV was the only Rolls-Royce to use a 5,675 cc inline-eight engine, and all bodies were coachbuilt. Seventeen cars were built by Hooper and H.J. Mulliner, with just one Allweather tourer bodied by Franay for a Saudi prince. When the Rolls-Royce Silver Wraith was discontinued in 1959, there was still a demand for a limousine-worthy chassis and for the first time, mere mortals could buy a new Phantom. The Phantom V’s all-new chassis with 144-inch wheelbase weighed 5,600 pounds before a body was even fitted, and was powered by the new 6,230 cc V-8 engine. 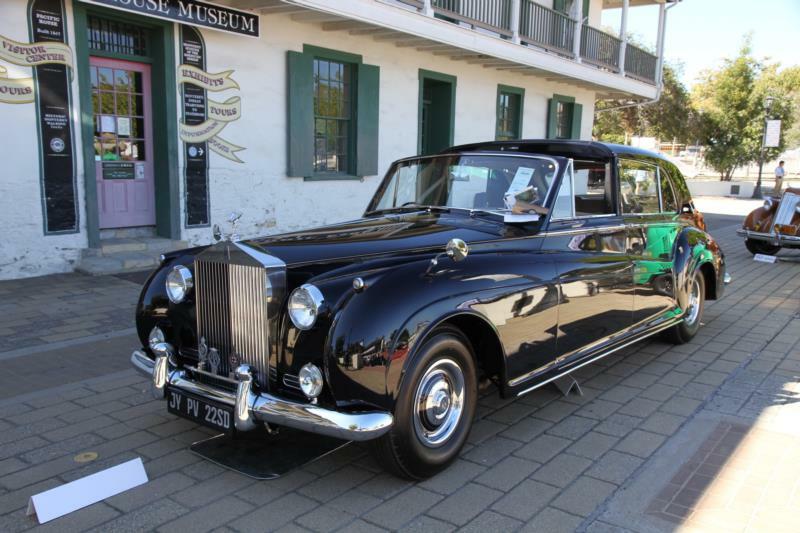 This was Rolls-Royce’s first V-8 and was used in the Silver Cloud II and Bentley S2. It was coupled to the familiar GM Hydra-Matic transmission. The brakes were servo-assisted, as boost was needed to help the driver to stop the massive car, as even the lightest Phantom V exceeded three tons. A number of coachbuilders built Phantom V bodies, but Mulliner-Park Ward is the most often seen. The rare James Young limousine body is particularly attractive as its sweeping lines conceal the sheer size of the car. Nine Landaulette bodies were built on Phantom V chassis. Two high-roof “Canberra” Phantom Vs were built for Queen Elizabeth II. A total of 832 Phantom V examples were built in 10 years. All Phantom models were built to order, and no two are exactly alike. They do, however, all share the same craftsmanship, attention to detail and luxurious appointments for the most discerning passengers. The Phantoms are not particularly pleasant to drive, as Rolls-Royce focused primarily on the passenger’s comfort and convenience. The Phantom VI was introduced in 1968 with the same engine as the Phantom V. When the engine size was increased to 6,730 cc in 1978, the GM 400 transmission was installed. The accompanying power brakes meant the end of the mechanical servo system which had been used in Rolls-Royces and Bentleys for 55 years. One of the few design differences an observer might notice between the Phantom V and VI are the rear doors. The Phantom V rear doors open at the front, while the Phantom VI rear doors open at the rear.